Driving a Duster turns on the magic on the roads. Caring for your car is a loving chore but cleaning it might be just where you draw the line. Leave this chore to us, Motorcoats. We are the newest professionals in town and we will take care of your car for you. We will do all the detailing to make your car sparkling clean again. We give it a Duster car coating service that makes it sparkle like new. 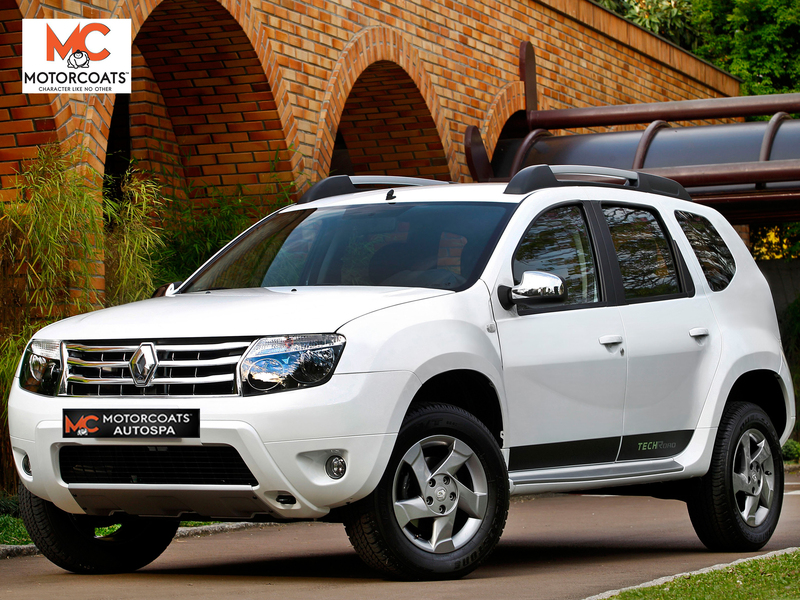 We use only company approved products for your Duster car so that it retains its newness. You get a choice of glass and ceramic coating. This is made using Japanese Nano Technology. The coating material binds with the paint surface so that it forms an invisible shining layer that glows. Your car will outshine the rest of the vehicles on the road. Here are all the details of the Duster car detailing service. We will clean the exteriors with water and detergent to get rid of grime and dirt from the tire, window exteriors, car doors, and handles. We then wash and vacuum the interiors. This involves washing the mats, cleaning the boot space, washing the upholstery and fabric, and cleaning the dashboard. We vacuum and disinfect the interiors so your car smells refreshing. You get a brand new car back.